FlameNetworks Review 2019: Is FlameNetworks a Good Hosting? 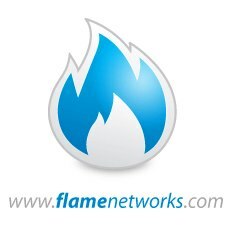 Flame Networks is an Italian website hosting provider with a rock solid uptime SLA and 24/7 multichannel customer service. Founded in 2005 by a small group of industry experts, Flame Networks provides excellent services at an affordable cost. This Italian company’s German data center suggests a pan-European customer base. Their website is only in Italian unless you let your browser translate it into English or another language. Flame Networks offers a comprehensive range of hosting services including CMS hosting, professional hosting, e-commerce hosting, reseller hosting, and dedicated hosting. They also offer a full range of IT solutions such as web application development. Flame Networks has a “no overselling policy”, which means that all resource quotas are 100% guaranteed. They also have a really clear 99.9% uptime service level agreement which is backed by compensation. This is not always the case with other hosting providers. In addition to the professional shared hosting plans, Flame Networks also offers CMS hosting plans for WordPress, Joomla, Drupal, Moodle, and PrestaShop. These packages include unlimited traffic, databases, subdomains, and email boxes. Flame Networks’ prices are quite expensive when compared with both local and international companies providing similar services. You also have to factor in the additional VAT (if applicable) and the fact that SSL certificates cost extra. On the other hand, their packages are comprehensive and feature-packed, and domain registration is “forever free”. Contract lengths are twelve, twenty-four and thirty-six months. There is no discount for purchasing a long-term plan, no free trial, and no money-back guarantee, so you need to be pretty sure before signing up. Whilst I find their payment terms to be somewhat stricter than I would like, I have no complaints about their 24/7/365 customer service provision. They offer a variety of ways to get in touch, including telephone, ticket, email, Skype and live chat. Unfortunately, the live chat was not live during business hours when I tried, but I have found this company to be quick to respond to emails. They also have an FAQ section and what appears to be a help center for logged in users only. In just over a decade, Flame Networks has grown from a small founding team to become a professional outfit with a German data center, 24/7 support, and a bona fide uptime SLA. Wondering how FlameNetworks stacks up against other Web Hosting companies? Enter any other Web Hosting company and we will give you a side-by-side comparison.